I'll admit it - I;m a sucker for shows about the paranormal, especially the "ghost-hunting" ones. No matter what show, but especially the newer ones where psychics or paranormal groups have been consulted, there seems to be an increasing use of 3 words I hate to hear: Vortex, Portal, and Orbs!!! While I obviously believe in ghosts and hauntings I do not believe that there are vortexes where energy flows in like a whirlpool from another dimension or "beyond". Neither are there portals: tunnel like pathways for spirits to enter and leave at will to a specific site. 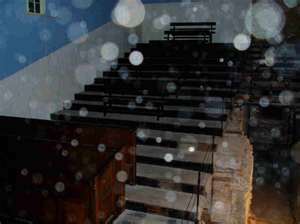 And orbs - don't even suggest that they are not due to slow speed night digital cameras creating "orbs" out of dust, insects and sometimes nothing at all but a miscommunication to a digital processor!